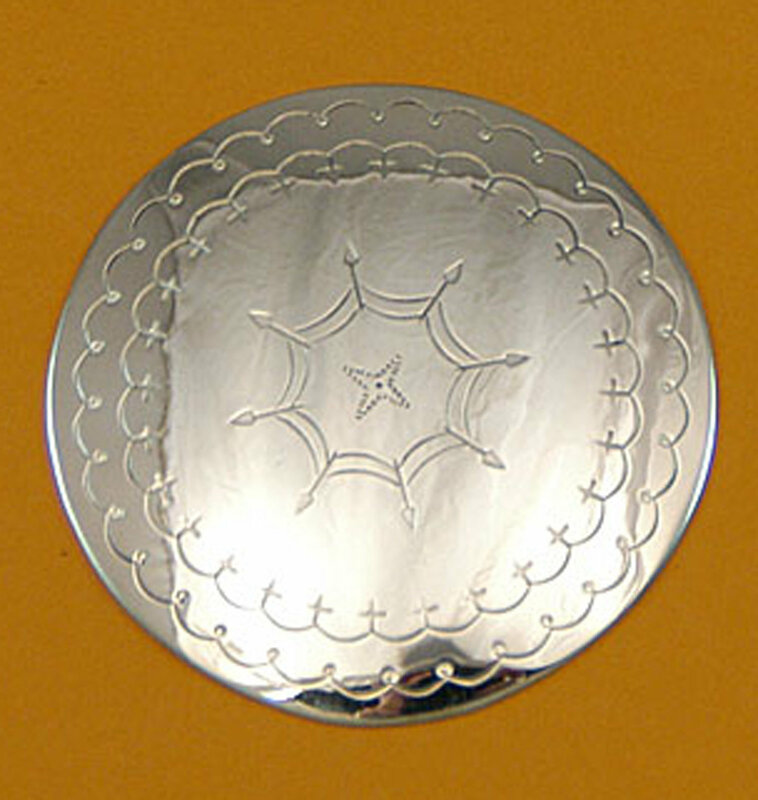 This is a 2 1/2" formed concho, stamped in the Southern Plains style. It can be used singly or to add length to a belt set. If ordered at the same time as a belt (or belt & dragger) set, the design on the extra concho(s) will match those on the belt.